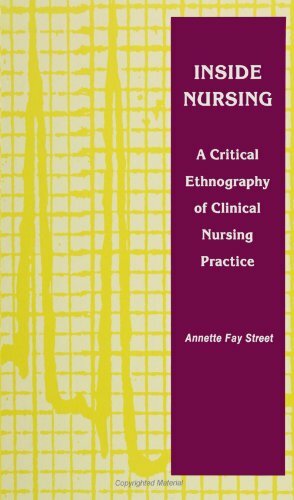 By exploring and analyzing the experiences and impressions of nurses, Annette Fay Street provides an intimate account of clinical practice and what those experiences mean in the profession. She highlights the realities and daily conflicts with which clinical nurses must deal, and offers insights into the culture and thinking that informs and transforms their work. Annette Fay Street is Director of the Center for Studies in Pediatric Nursing at the Royal Children's Hospital in Melbourne, Australia. "The profession is undergoing radical changes, and this topic is very timely. Critical theory is important in itself, and the relation of its principles to nursing is well done by Street. Inside Nursing offers one of the most refreshing new insights into the nursing profession that I have seen in a long time. Its intellectual rigor is outstanding and should make it extremely palatable to most nurses.